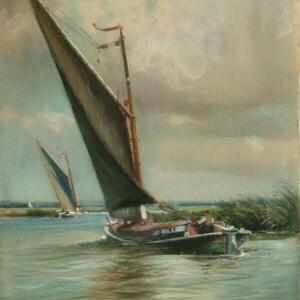 Charles Mayes Wigg was born in Nottingham in 1889. 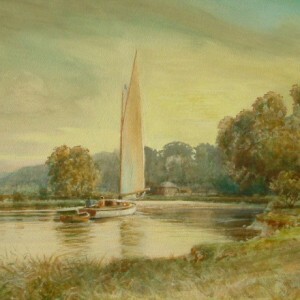 His childhood visits to Florence fuelled his interest in art and increased his desire to paint. 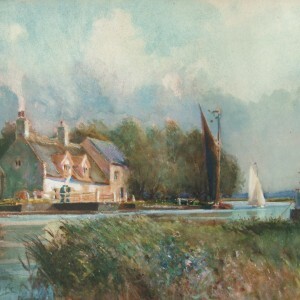 From 1911 he studied at Norwich School of Art and later with John Spenlove at the Yellow Door Studio, Beckenham. Serving in the First World War he was invalided out of the army in 1916 after being seriously injured at Gaza. Harmony Harrison (1842-1902) in as much as his choice of palette by using quite vivid hues in his work and his style was somewhat bolder. 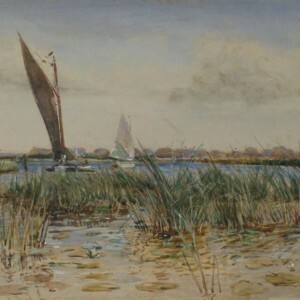 He exhibited at the RA in 1915, the British Watercolour Society and exhibited in Norwich and Yorkshire often working with fellow artist Joseph West. In 1952 Charles Mayes Wigg married his mother’s nurse who sadly did not approve of him painting and together they destroyed much of his work and even broke his brushes. 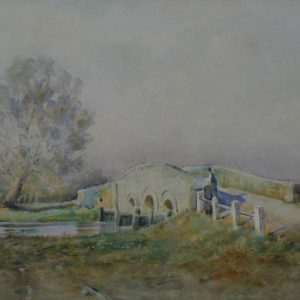 He spent his last years as a widower living with his brother in Eastbourne, never able to paint as he had once enjoyed. Charles Mayes Wigg died in 1969.